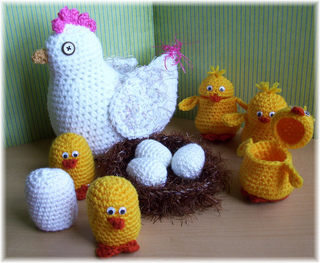 Mamma Hen’s busy warming up her eggs, while the hatched baby chicks scurry about. Should provide lots of fun and entertainment for the little ones. PDF pattern will be emailed within 24 hours of receiving payment (usually sooner).